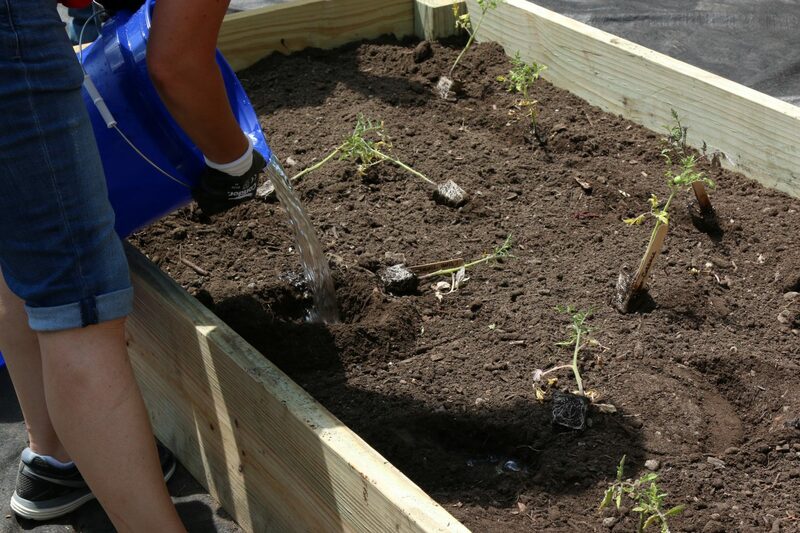 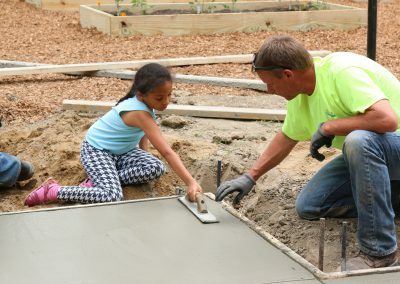 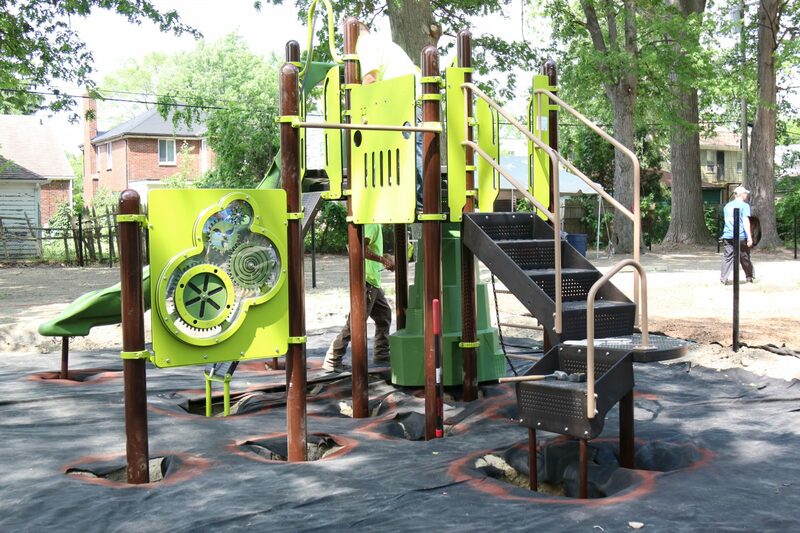 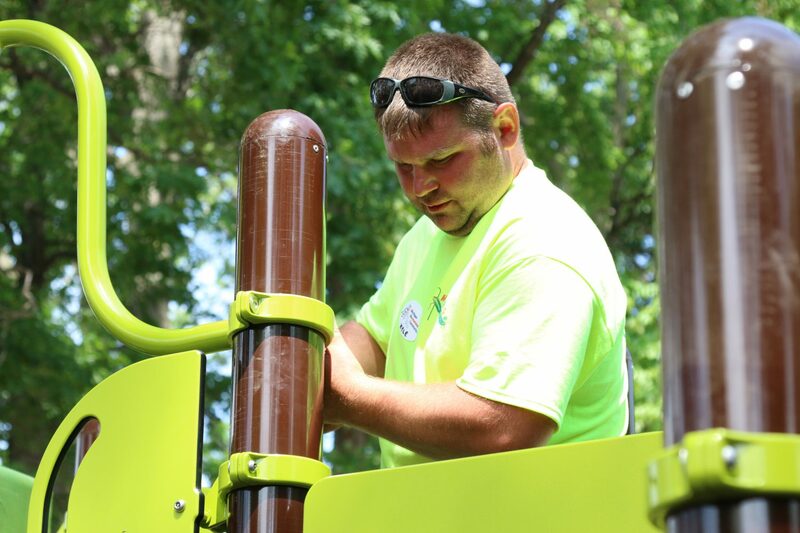 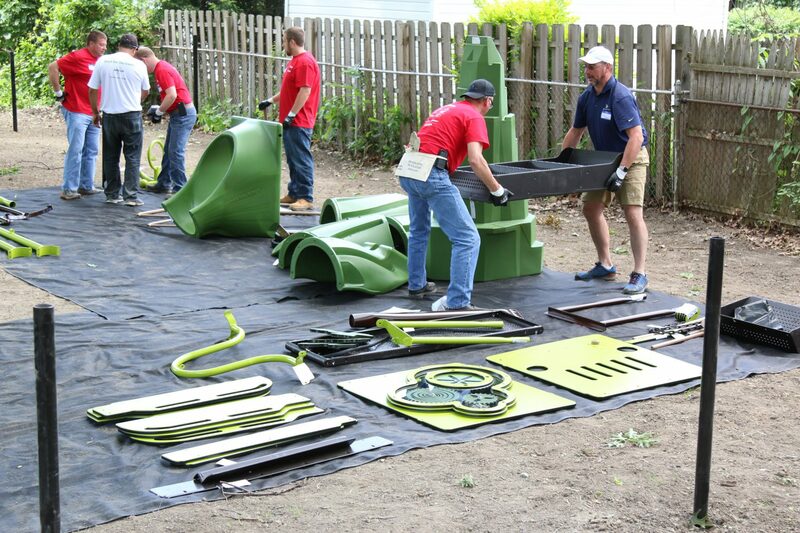 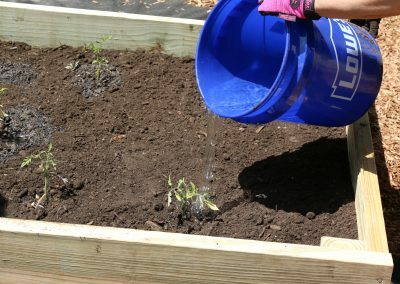 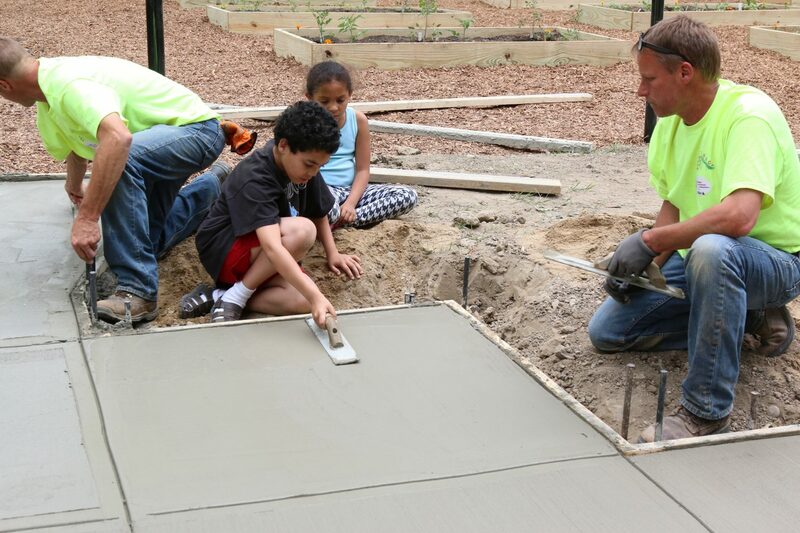 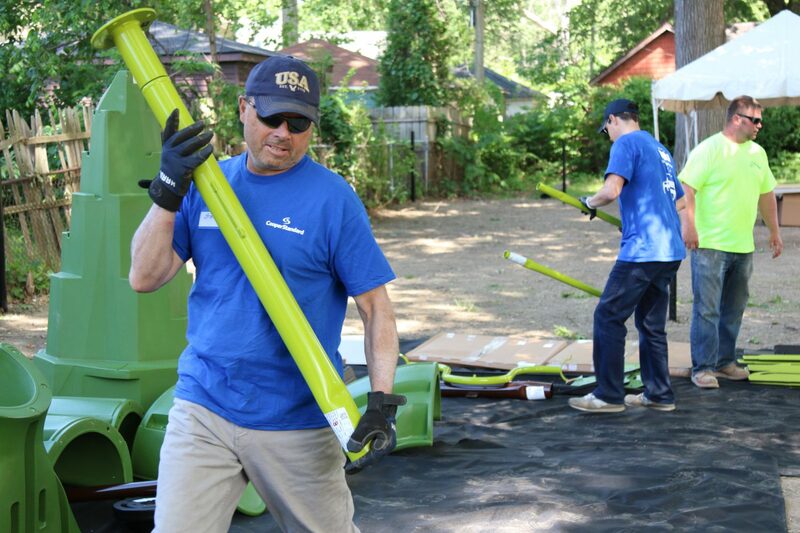 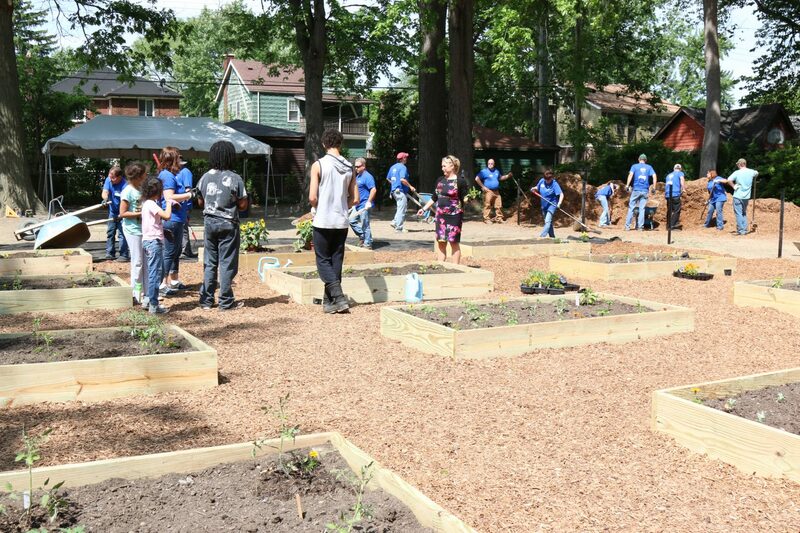 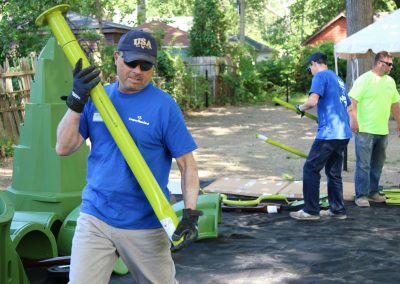 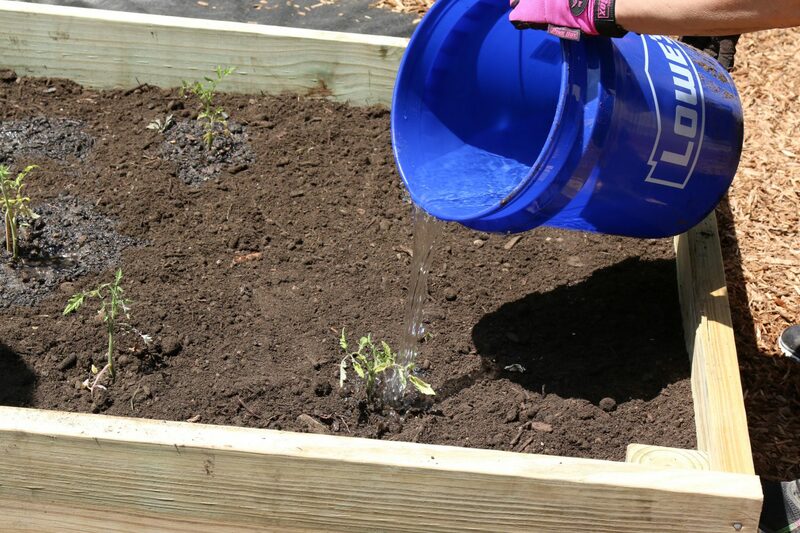 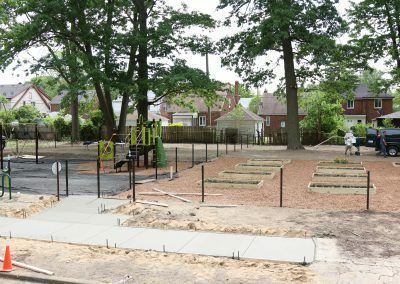 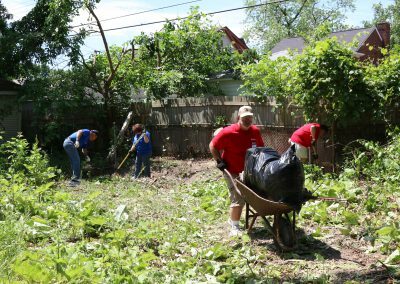 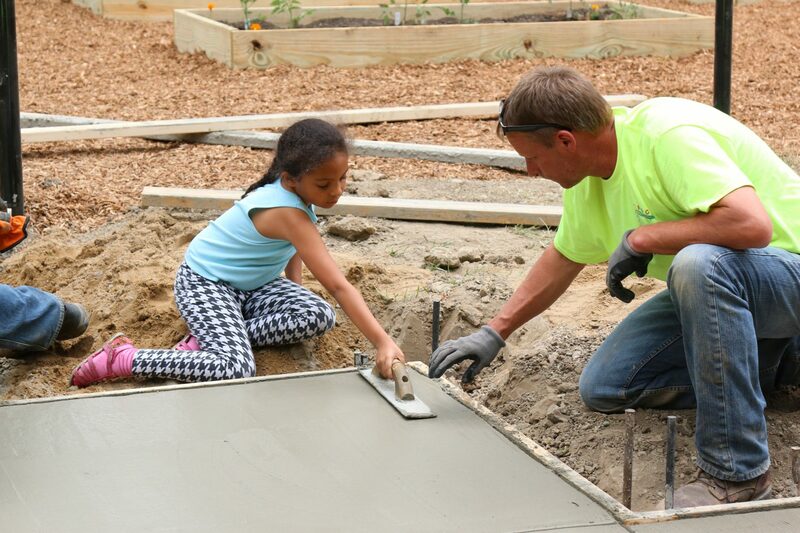 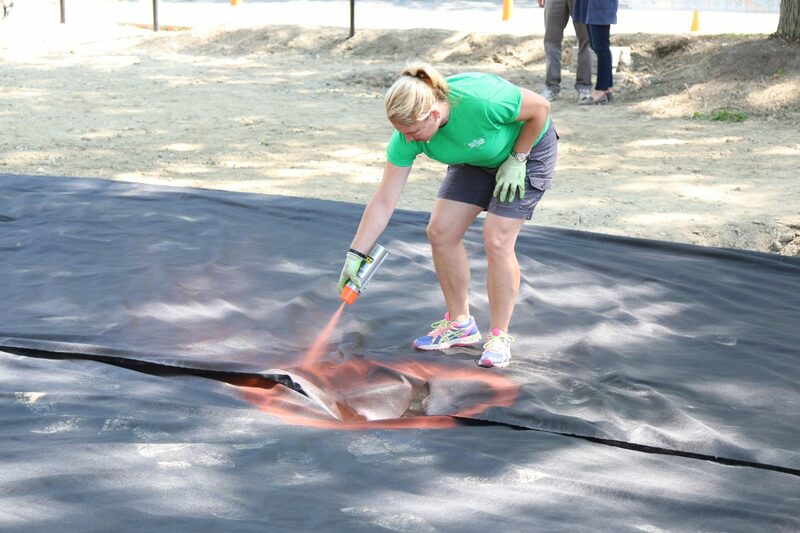 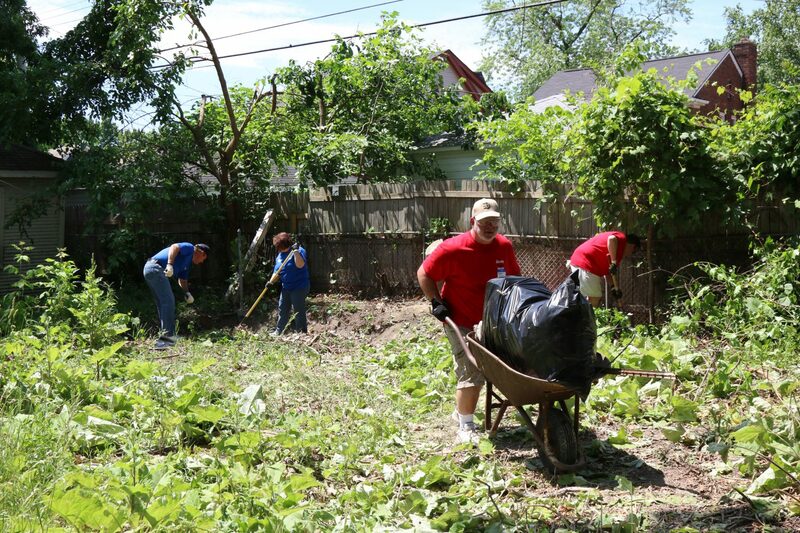 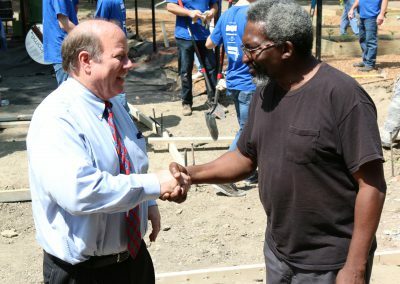 On Tuesday, the 55-year-old U.S. Army veteran stood in front of a new neighborhood playground and urban garden that was spearheaded by the same charity initiative that gave Robinson and his two children a home across the street six months ago. 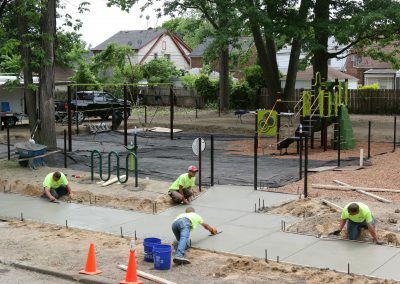 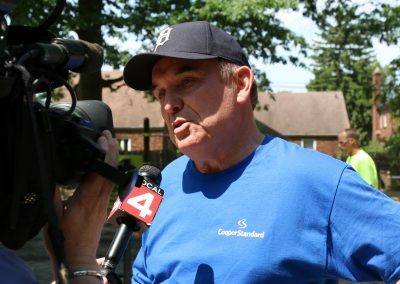 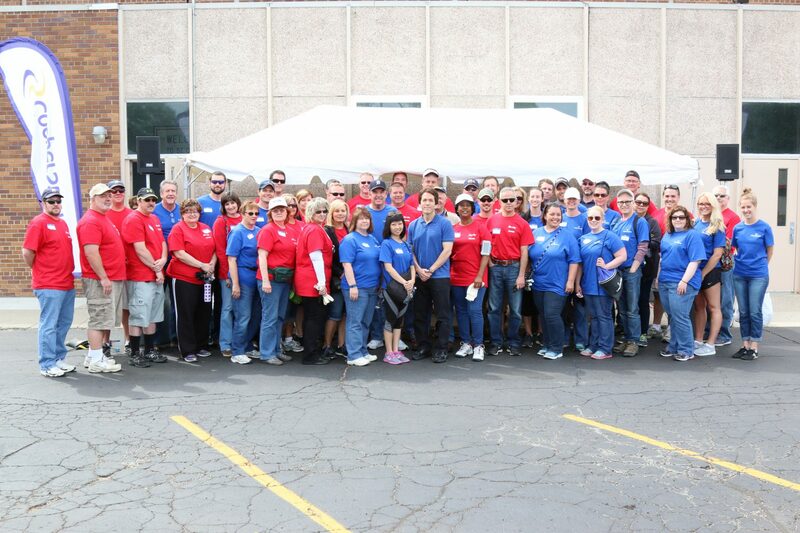 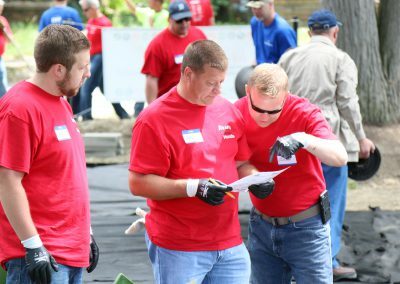 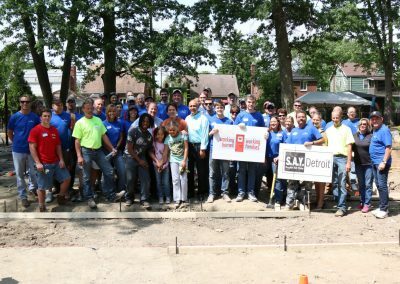 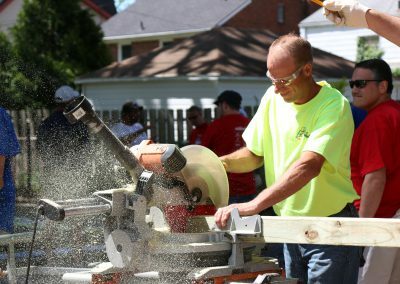 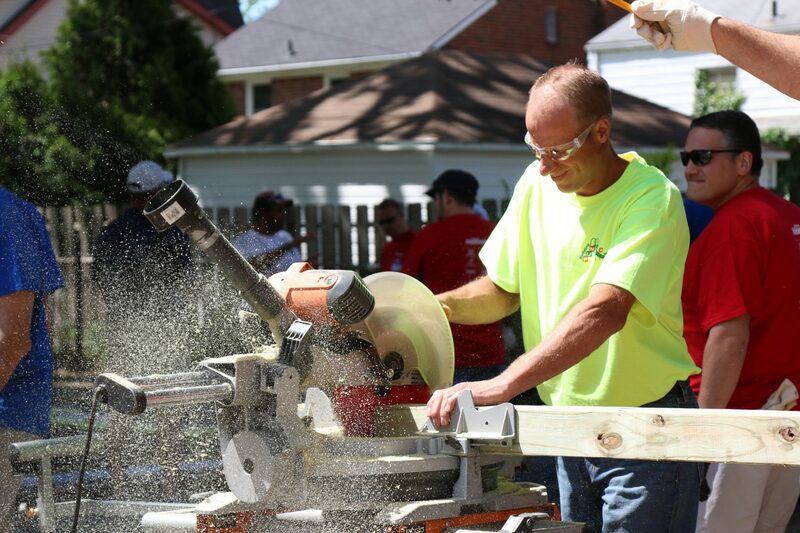 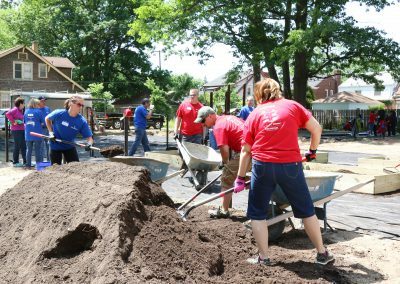 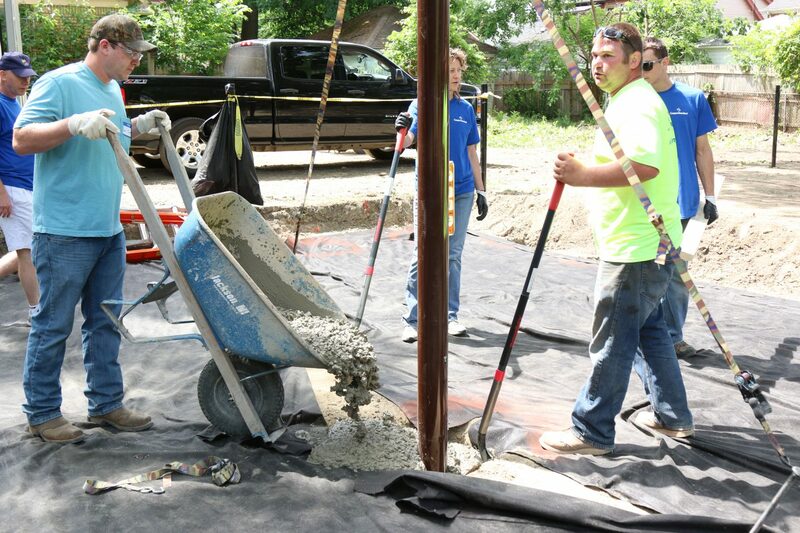 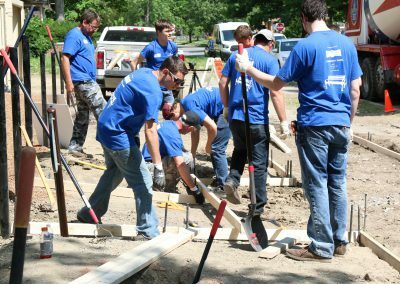 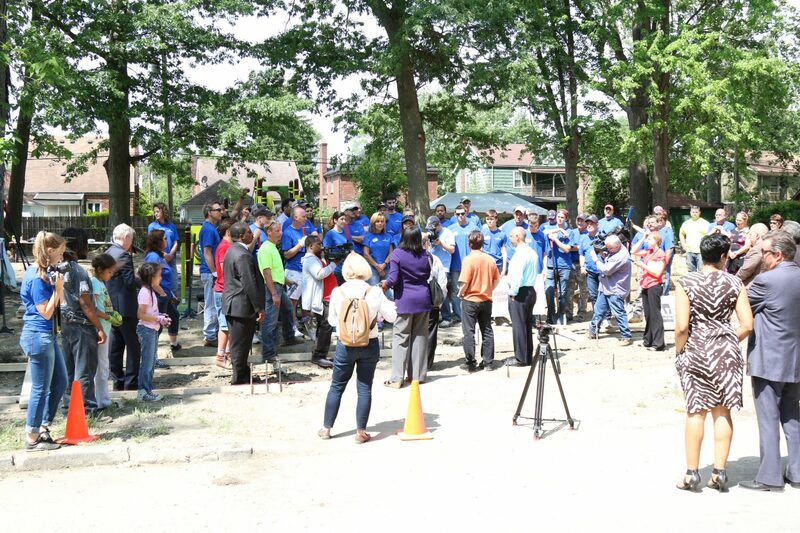 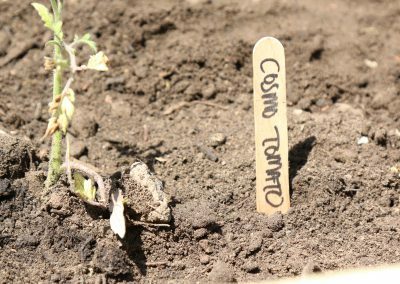 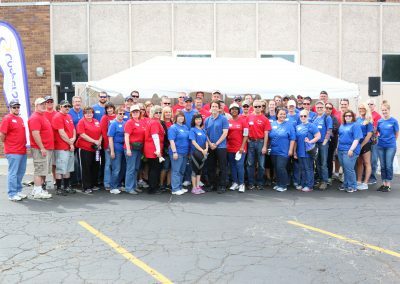 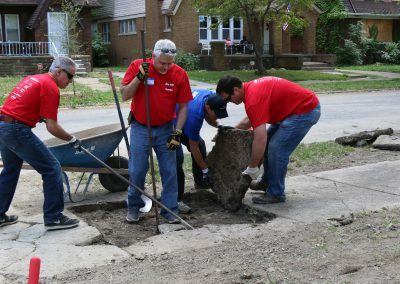 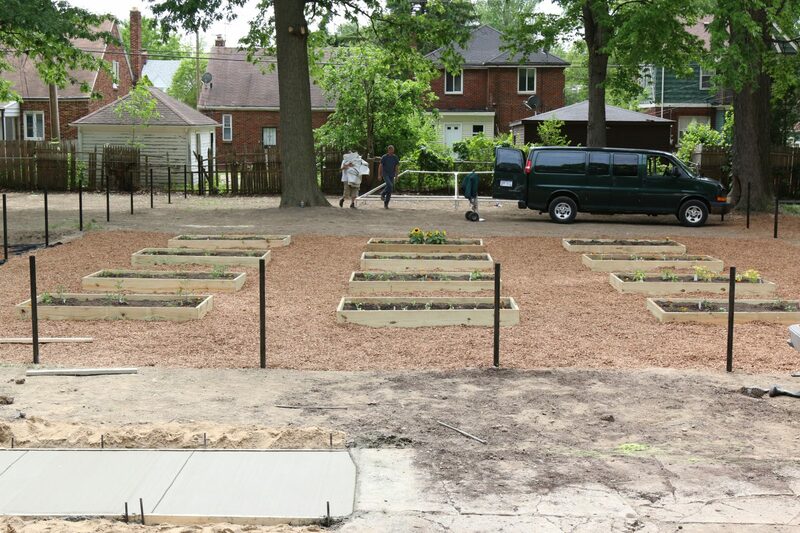 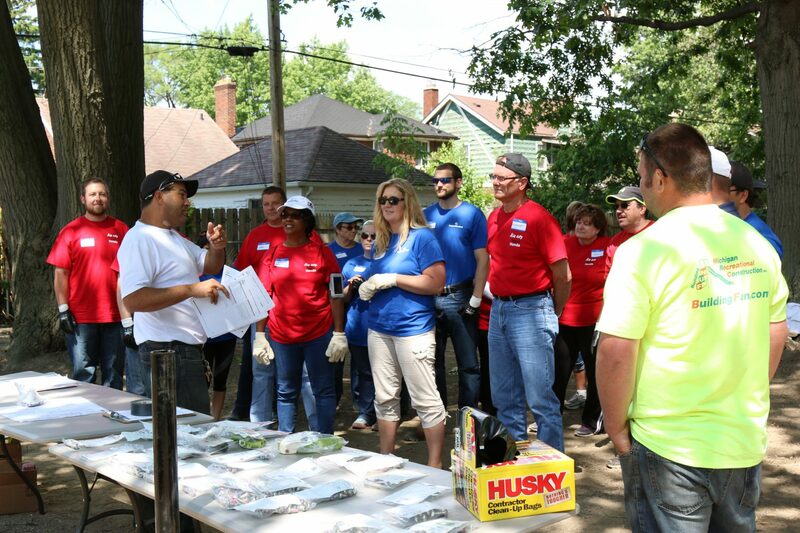 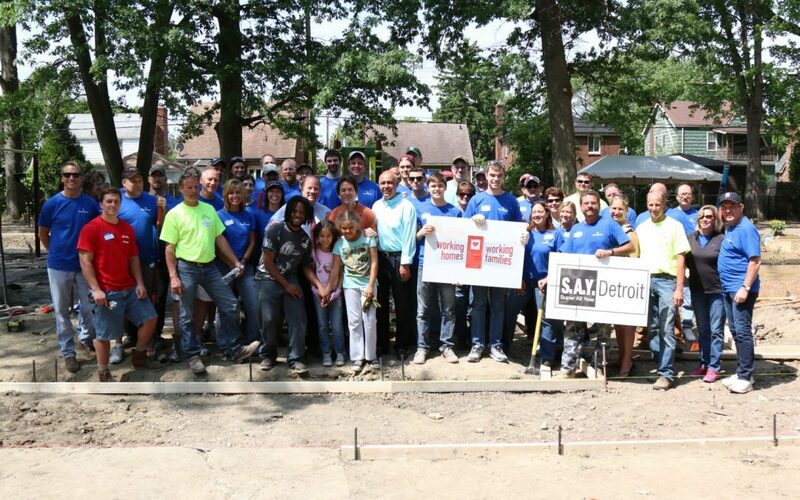 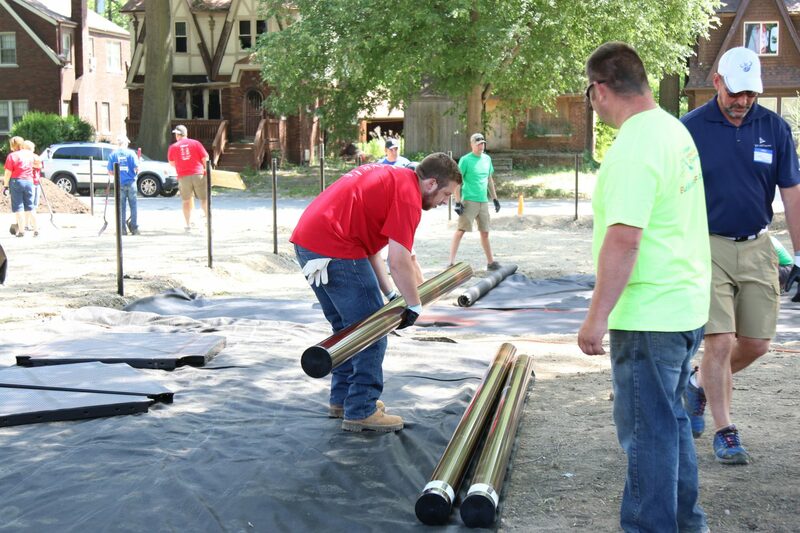 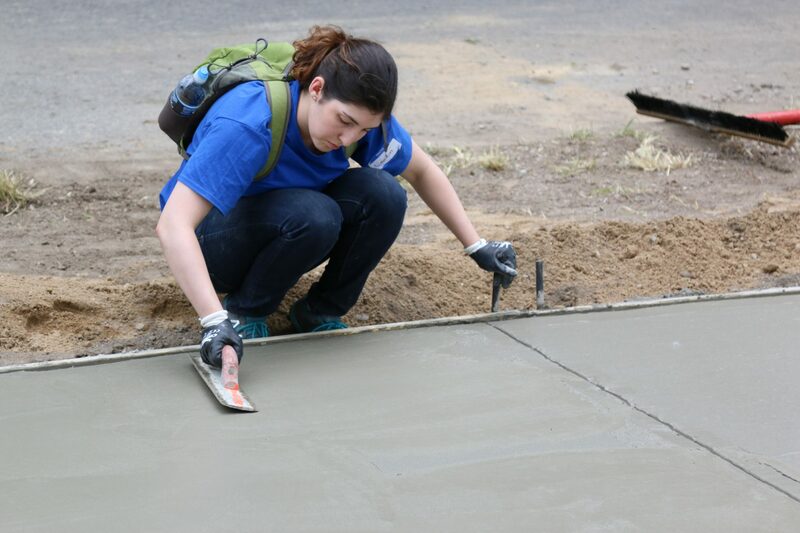 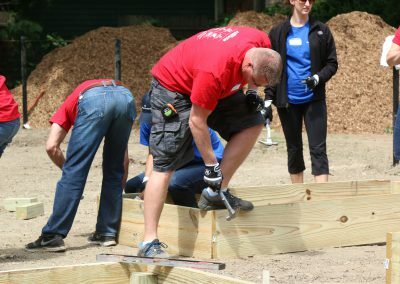 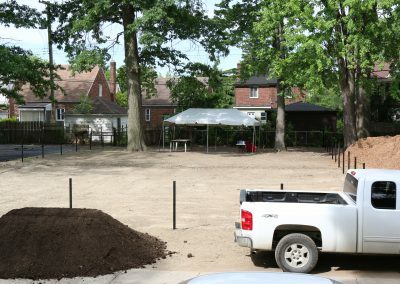 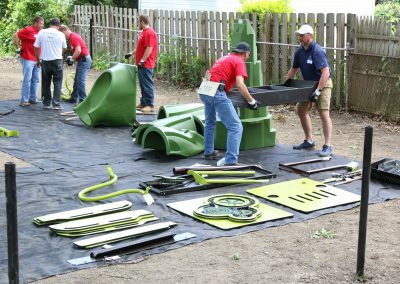 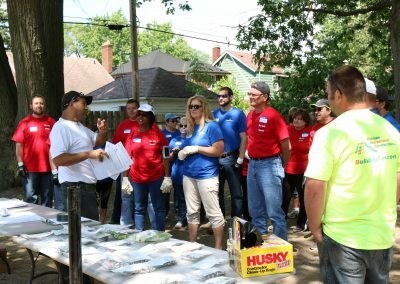 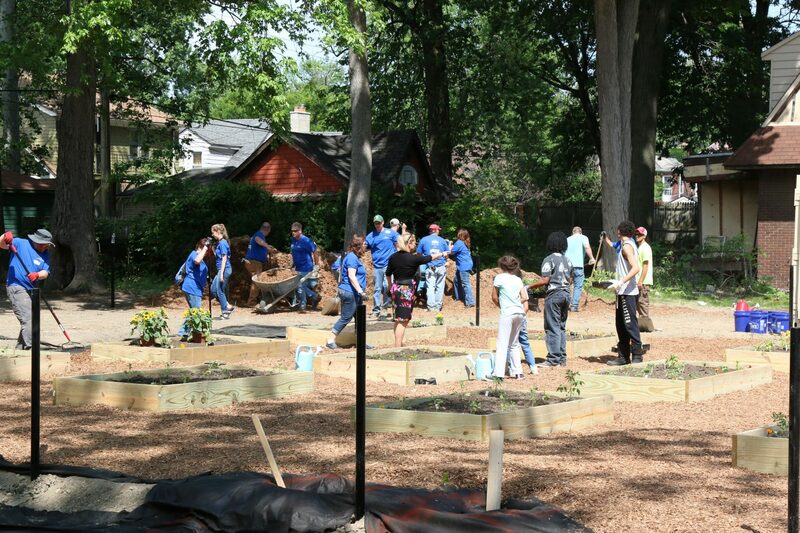 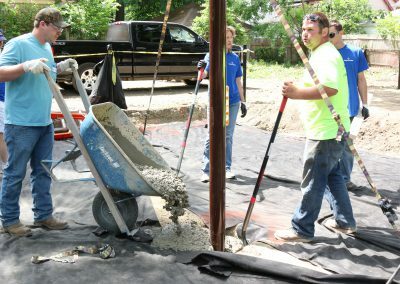 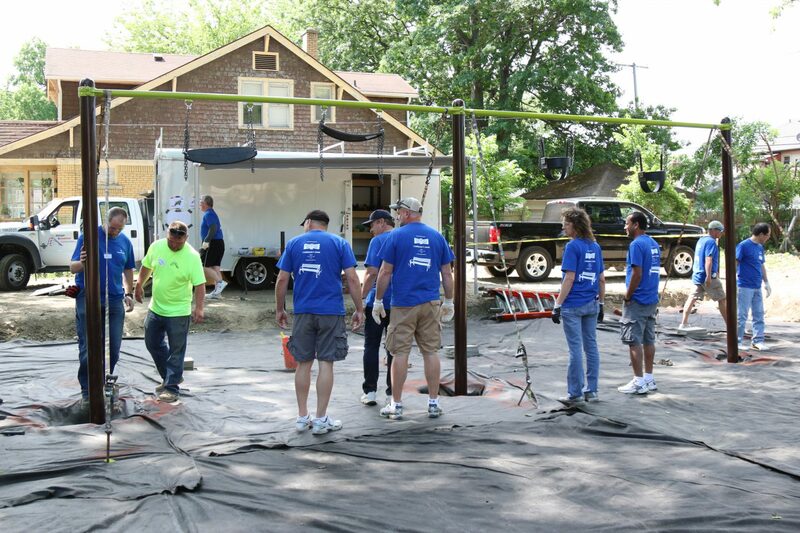 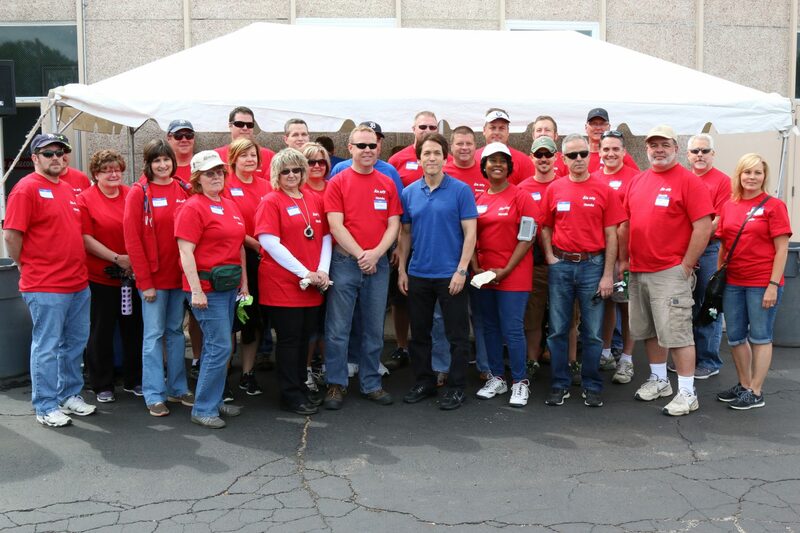 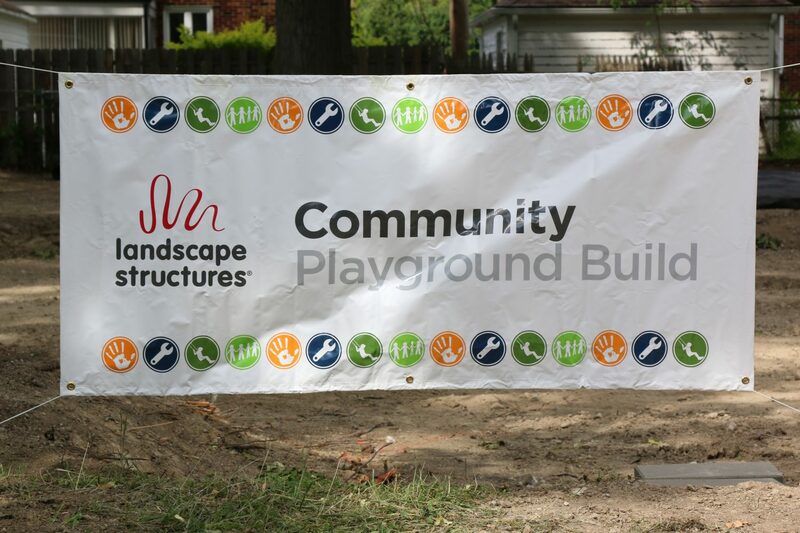 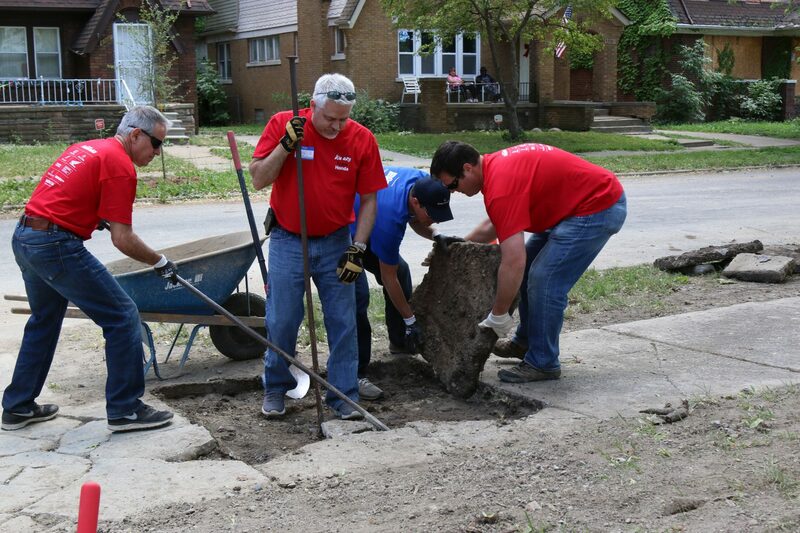 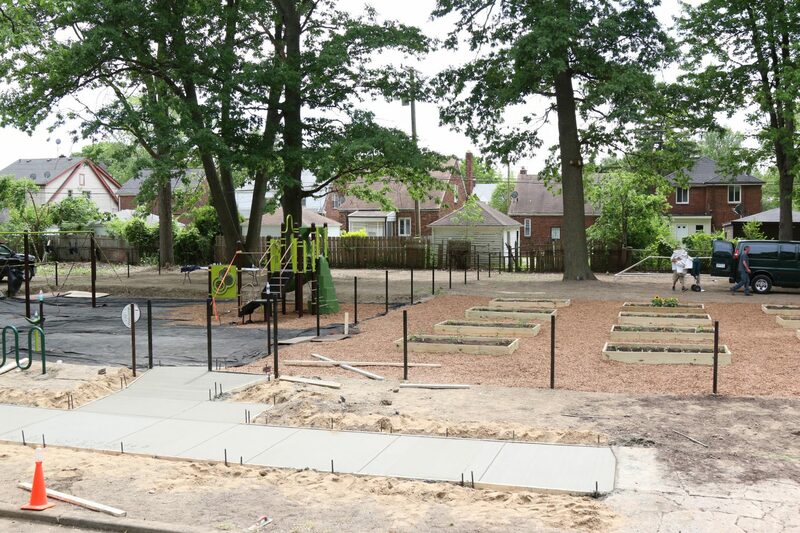 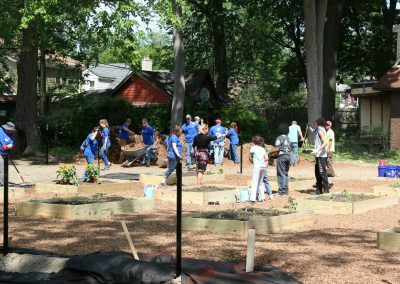 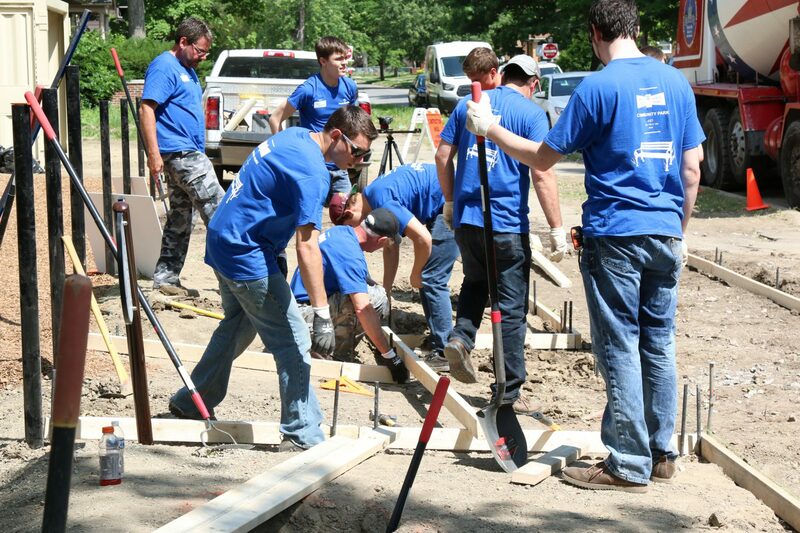 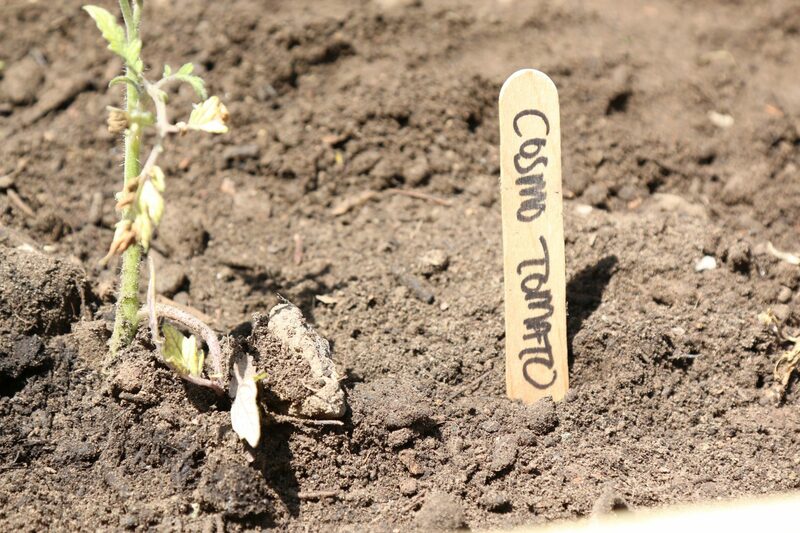 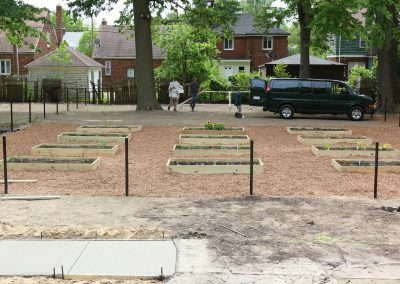 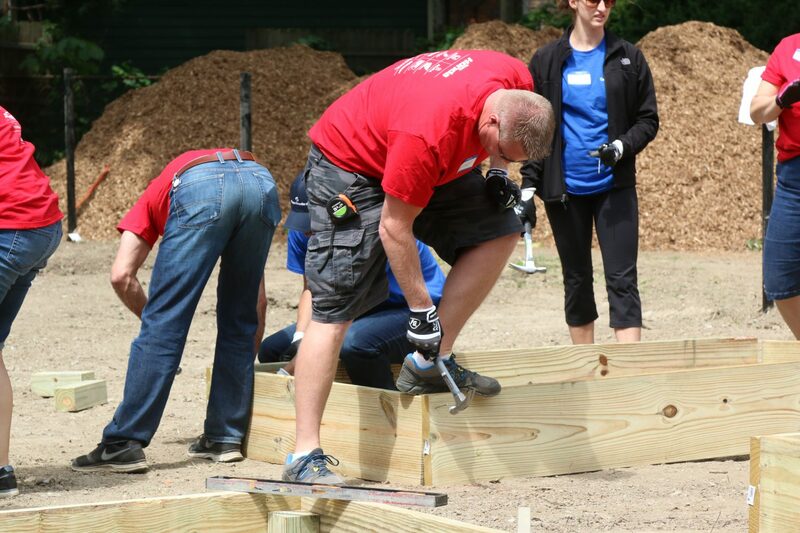 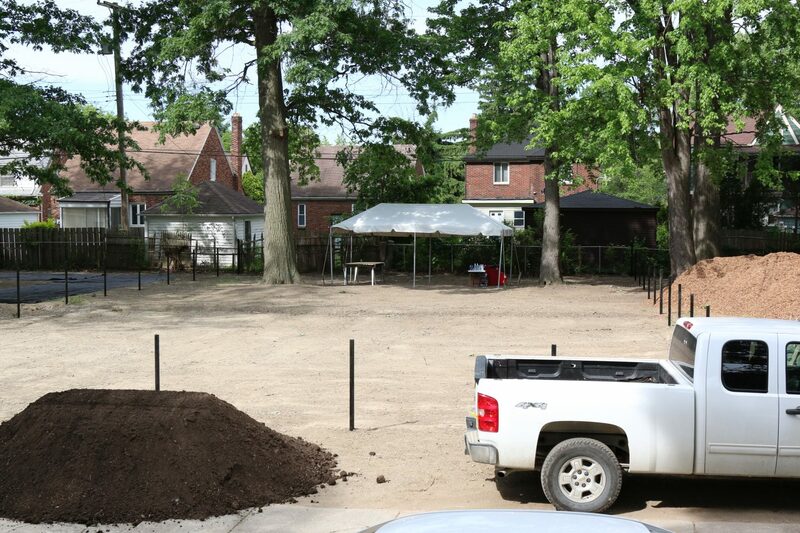 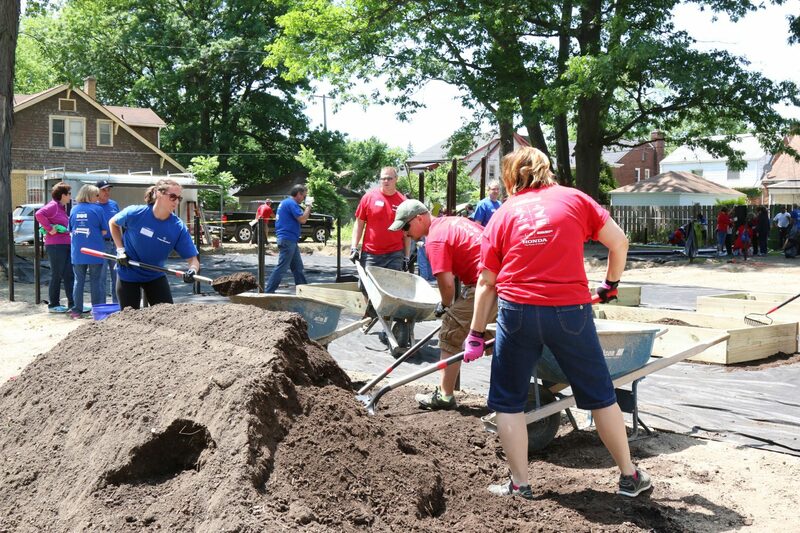 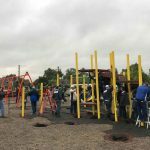 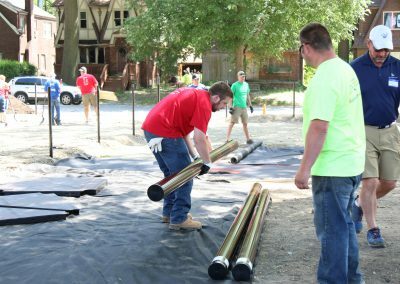 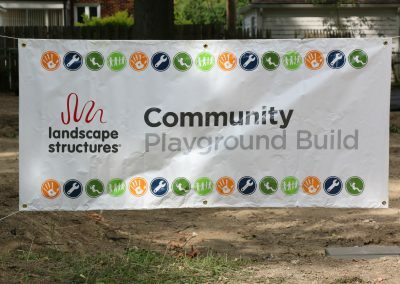 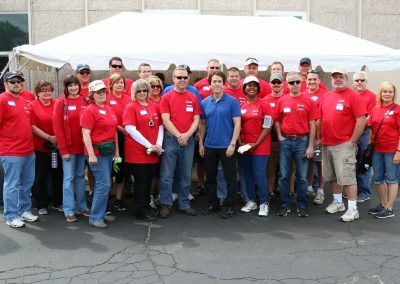 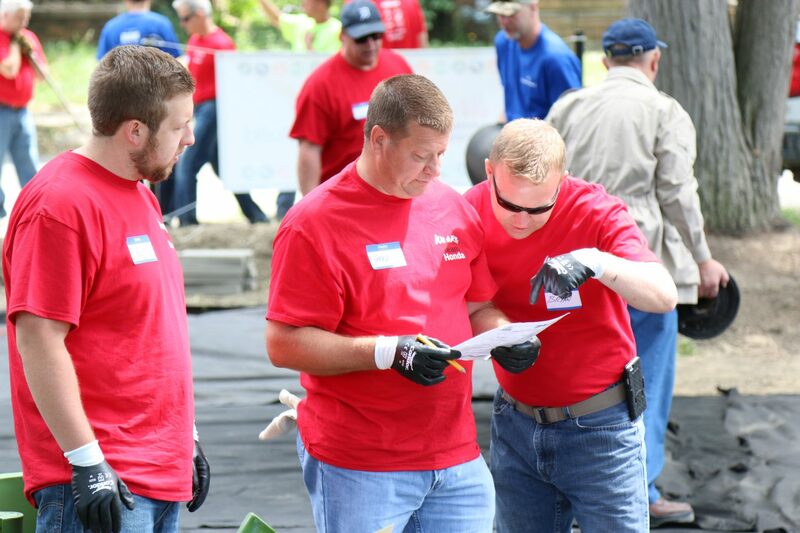 For two days, dozens of employees from Cooper Standard and Honda worked alongside Michigan Recreational Construction of Brighton building a playground and planting vegetables and flowers in raised beds – all to benefit the Morningside community on Detroit’s east side – through S.A.Y. Detroit’s Working Homes/Working Families charity. 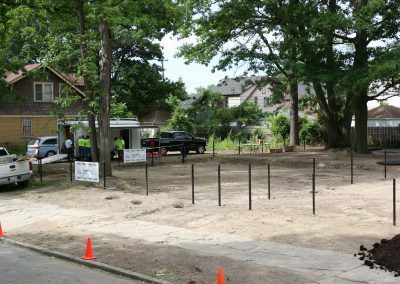 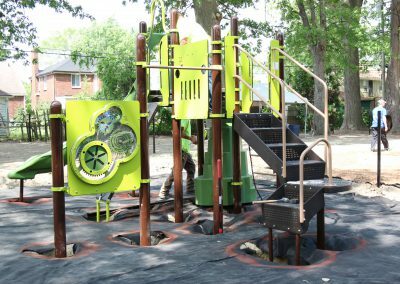 Located on Three Mile Road, between Munich and Waveney streets, the new community park was built on several vacant lots. 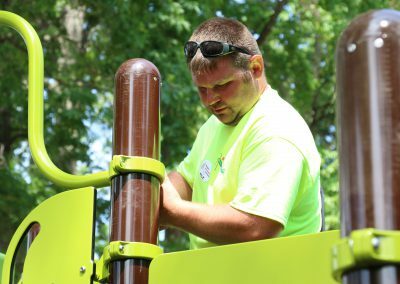 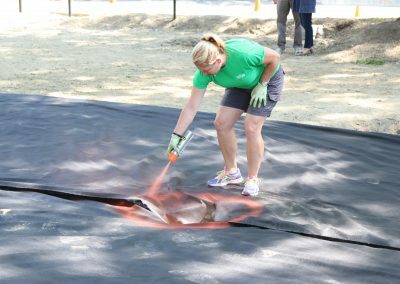 It is expected to be completed in the next couple of days, said Craig Sheffer, president of Michigan Recreational Construction. 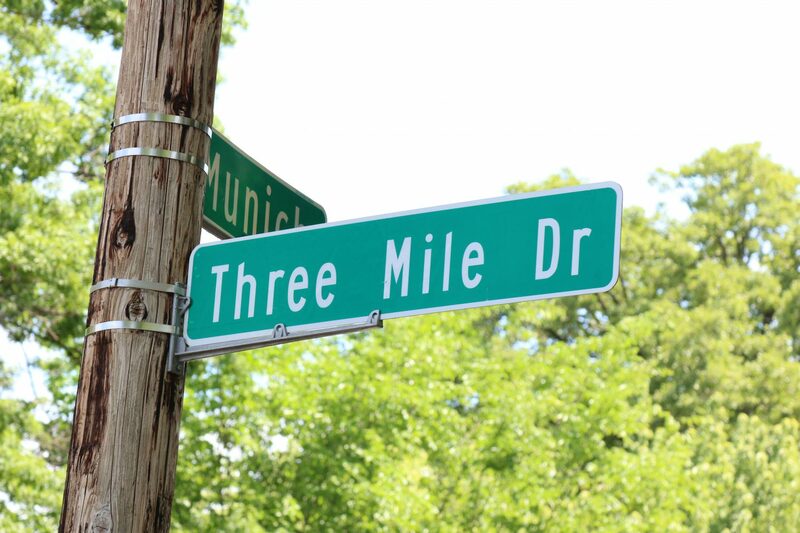 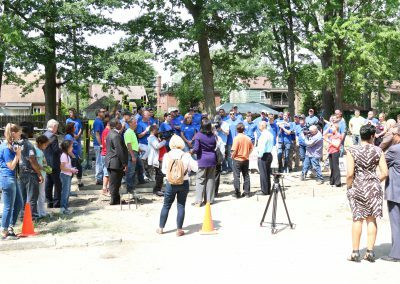 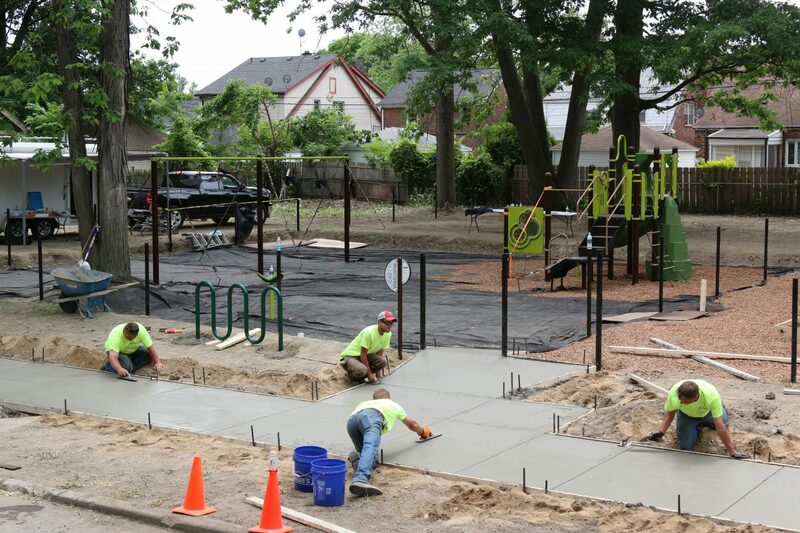 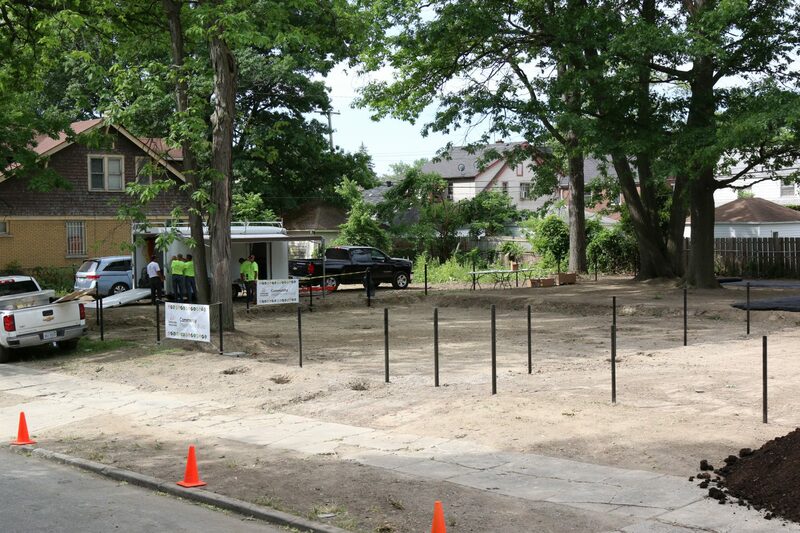 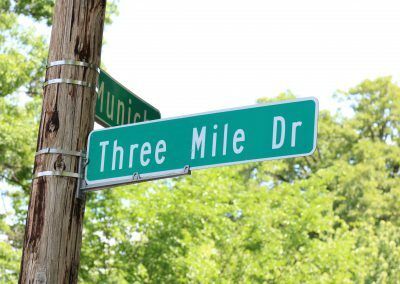 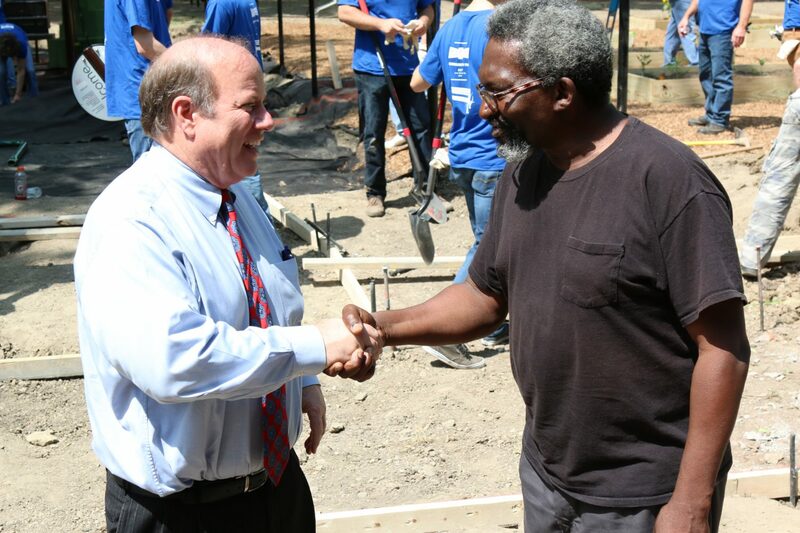 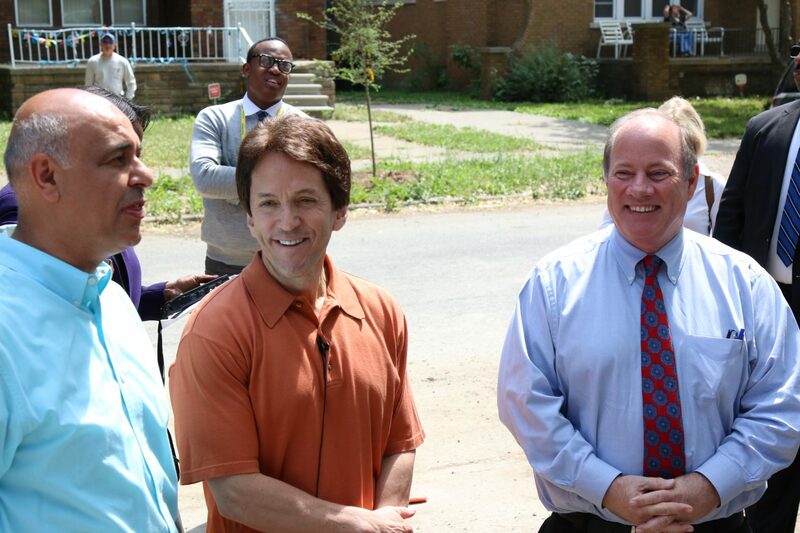 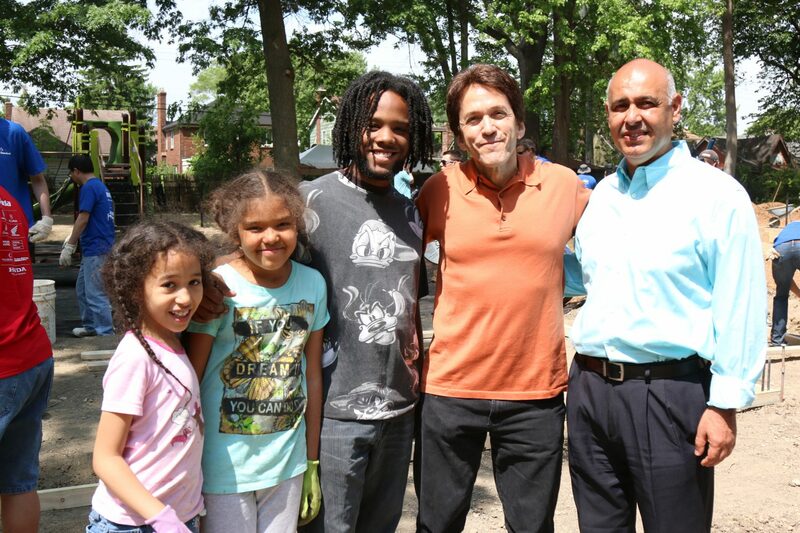 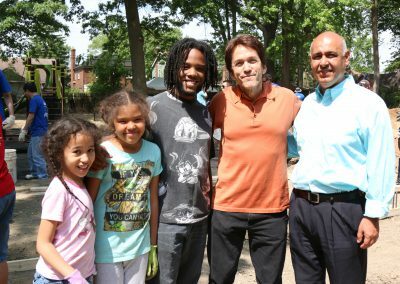 Detroit Mayor Mike Duggan, who attended Tuesday’s event, praised Albom and DRMM president and CEO Dr. Chad Audi for their continuing commitment to the Morningside neighborhood. 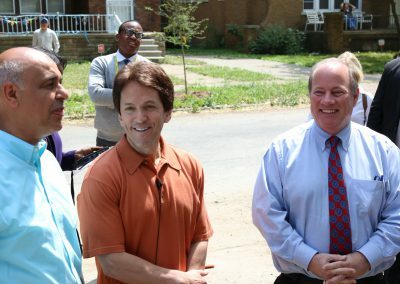 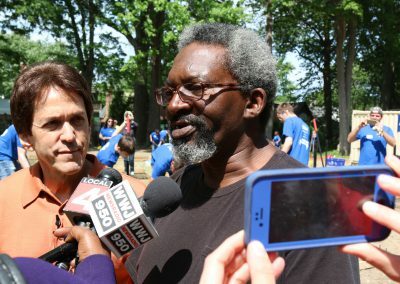 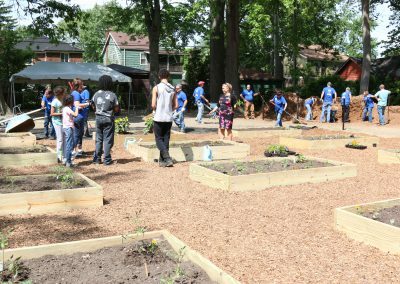 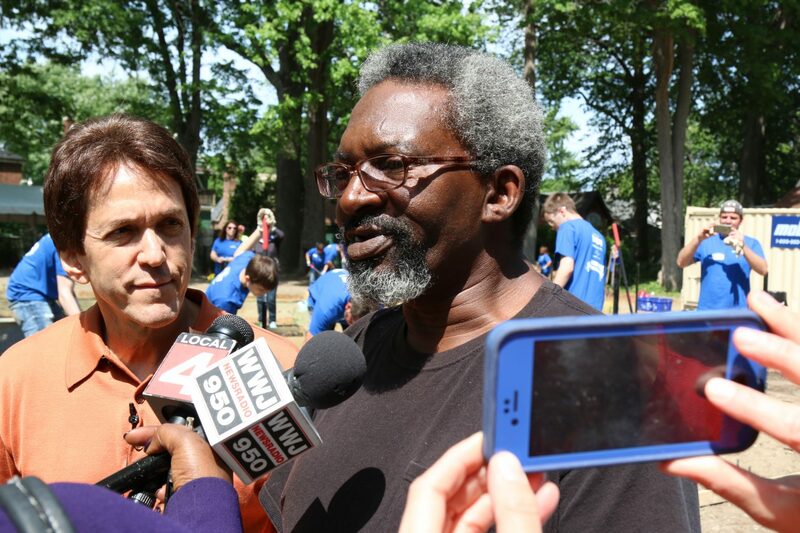 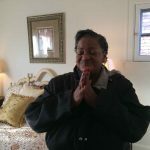 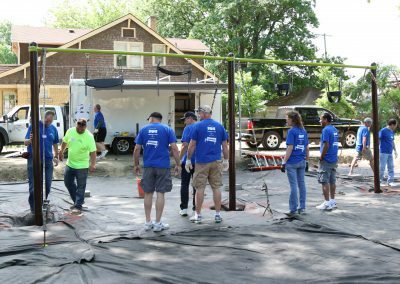 In 2015, S.A.Y. Detroit and DRMM, its operating partner, refurbished six formerly vacant homes in the neighborhood, including the one that Robinson now calls home.